If you want to get all the rich nuances and shades of meaning of the original Bible languages, the Amplified Bible is for you. No knowledge of Greek or Hebrew is required-just a desire to know all that God says in his Word. With its unique system of brackets, parentheses and italics, the Amplified Bible defines and expands key words and phrases right in the text. Verse by verse, the full meaning of Scripture unfolds as you read. - Large Print-makes reading easy. - Footnotes-provide concise historical and archaeological information and devotional insights, plus hundreds of references to select sources and authors. - Book Introductions-tell you about the book's author, background, purpose, and themes. - Bibliography and Glossary-give you a handy list of the sources cited in the study notes and the most frequent amplifications in the text. 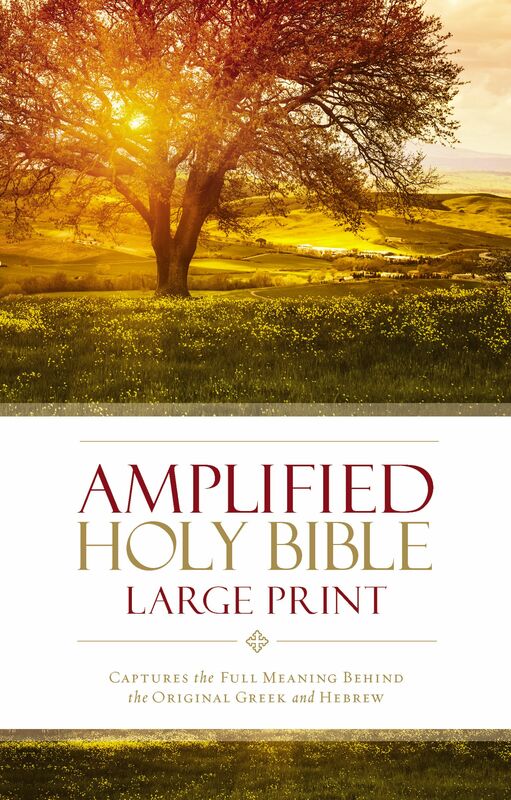 Amplified Large Print Bible by Zondervan, was published by Zondervan in October 2015 and is our 837th best seller. The ISBN for Amplified Large Print Bible is 9780310444039. 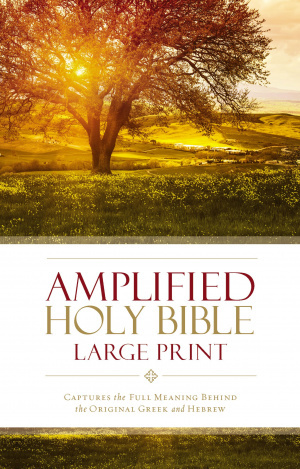 Be the first to review Amplified Large Print Bible! Got a question? No problem! Just click here to ask us about Amplified Large Print Bible. A:The notes are on the bottom of each page in this Bible. But, as there is lot to fit in due to font size and amount of notes, the paper is rather thin. If thick paper is what you most want, I suggest searching for Journaling Bibles as they are made especially to be written heavily in. Thank you for using the Q&A Forum. A:We do not write personalised messages in, or on, the Bibles we sell. Most do have spaces near the front to write your own messages or dedications. Thank you for using the Q&A Forum. A:This edition features a 12 point font size.